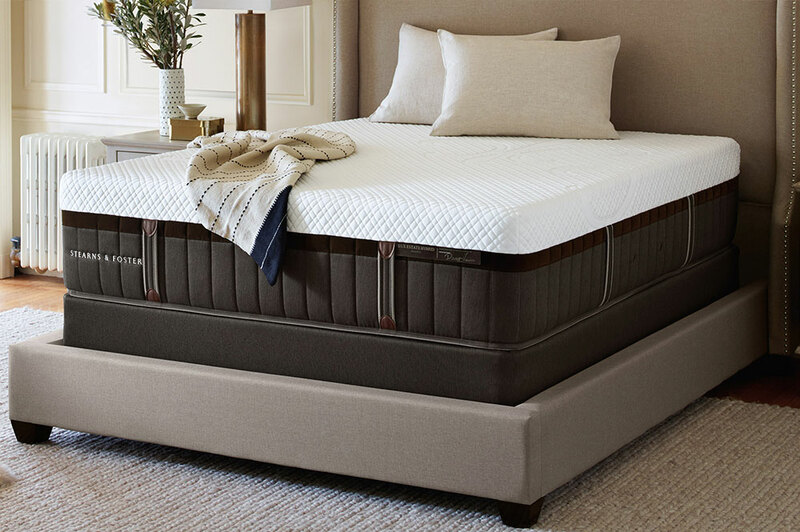 Amerisleep and Stearn and Foster are two of the mattress brands you should look into if you’re in the market for a new mattress. Learn more about each of these companies in this post. There are so many options in the world of mattresses. At first, looking for a new mattress brand may seem overwhelming. But, side-by-side comparisons allow you to learn more specific details about mattress types, sleeping preferences, and what companies offer as incentives to their customers. You can determine which is right for you and which doesn’t quite meet all your needs. Since getting a good night’s sleep is crucial to living your best life, diving into mattress comparisons is a good first step. Thoroughly researching Amerisleep vs. Stearns and Foster mattresses before making your selection will make you more confident in your final decision. Your mattress should help contribute to a better night’s sleep. It should ease any aches and pains you feel during the night. Also, you should feel rested, rejuvenated, and ready to take on a new day when you wake up. That may seem like a lot to ask for out of a bed, but you can get all of that and more with the right choice. Stearns and Foster is part of Tempur Sealy International, Inc. The company has been around since 1846 and is known for being a luxury mattress option. Customers can find these mattresses online or at select retailers. Stearns and Foster mattresses are manufactured in the United States. Amerisleep creates and manufactures its mattresses in the United States. Customers can browse and purchase mattresses online and at Amerisleep’s brick-and-mortar stores throughout the country. Amerisleep is proud of its eco-friendly manufacturing processes, such as using Castor oil to replace a portion of the petrochemicals used in memory foam and utilizing a foam production process which releases virtually zero emissions into the air. Depending on which benefits you are looking for, the different materials may be of higher priority. 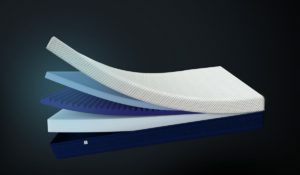 Celliant®: This material covers the entire mattress. It is an FDA-determined fabric1 known for promoting a restful sleep by increasing local blood flow. Bio-Pur®: In line with Amerisleep’s values, this layer is made of mostly plant-based materials. It also is the layer that focuses on comfort by relieving pressure points. The foam is made using an open cell structure. This helps keep air moving so as to cool you at night. Bio-Core®: This is the base of all Amerisleep mattresses. At the foundation of the bed, it provides support, specifically for your hips, shoulders, and back. It is durable so as to prevent sagging, as well. If you are interested in hybrid models with a variety of materials, try a Stearns and Foster mattress. However, if you’re looking for mattresses designed to accommodate specific types of sleepers, Amerisleep has five models for you to consider. 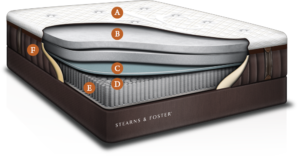 Stearns and Foster manufactures four different mattress models. These include the Reserve, the Lux Hybrid, the Lux Estate and the Estate. Each model features five to eight different layers. The Estate is the most basic hybrid model. This mattress comes with foam layers to support the body and for temperature regulation. This works with the coil system so the mattress forms right around your body. Added air vents also assist with cooling. The Reserve is the most high-end model. It contains the same layers as the Estate with a few added benefits like a pillowtop layer. This makes the mattress more usable as it can be used for sitting and prevents sagging over the years. You can make use of the entire bed, too. Amerisleep makes it easy for customers to learn about its mattress models. They are constructed with sleeping position types in mind. It is important to know your sleeping position, so you can find the right mattress to match your needs. They are also simply named so they’re easy to remember. The five models include the AS1, AS2, AS3, AS4, and AS5. Depending on your sleeping position, you can easily choose one of the mattress models. The most popular model is the AS3 since it is versatile, accommodating stomach, back, and side sleepers. If you are looking for the best mattress for couples or tend to change positions, it may be the right mattress for you. 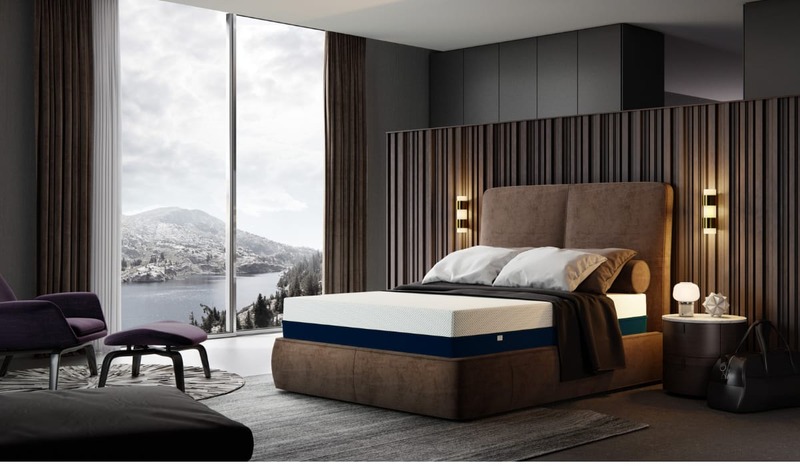 However, for those who know they need a firm mattress due to aches and pains, it is simple enough to select the AS2, which was listed by Business Insider as the best mattress for back pain. If you know you prefer softness and comfort, opt for the AS4 or AS5. Stearns and Foster mattresses fall on the pricier end of the spectrum. This is likely due to the fact that they are hybrids. They also include some luxury materials that increase the cost. A Queen Estate costs $1,499. The Queen Reserve costs $3,499. With such a large range, you can likely still fit the Estate in your budget and get a mattress that will be long-lasting and comfortable. Amerisleep offers mattresses at a more affordable price. The Queen AS1 costs $999 and the Queen AS5 costs $1,899. The softer and more layered the mattress is, the more expensive it becomes. However, if you opt for the most versatile and most popular AS3, the price tag is only $1,199. This is a reasonable price for a mattress that is eco-friendly, uses innovative technology, and can suit more than one sleeping type. Stearns and Foster’s fiber fabric is made of eco-friendly material. Not only does it add softness to the bed, but it also helps the environment. Amerisleep also focuses on sustainability through its manufacturing processes and the use of plant-based materials. You can rest easy each night knowing both of these companies value making eco-friendly mattresses. Amerisleep also offers a 100-night sleep trial for its customers. The company also provides a 20-year warranty on its mattresses which gives peace of mind to customers. As you review each of the pros and cons for Stearns and Foster mattresses vs. Amerisleep, keep in mind your needs. What causes you to get a poor night’s sleep? Do you have specific aches and pains? What is your sleeping position? Each of these answers will help you determine which mattress brand and mattress model is right and will bring you the comfort and support you need. The price tag matters, but don’t choose the cheapest to save some money or the most expensive because it’s luxury. Opt for one that fits in your budget and will help you improve your overall well-being while helping the environment. Which brand would you like to know more about — Amerisleep or Stearns and Foster? Let us know your thoughts in the comments section below! Up Next: Nest Bedding Reviews and Amerisleep.